From October 15th at the Social, London, W1. The Social are extremely proud to announce the world’s first retrospective exhibition by the unarguable leading artist of our times – Cold War Steve. The exhibition opens on Monday October 15th. 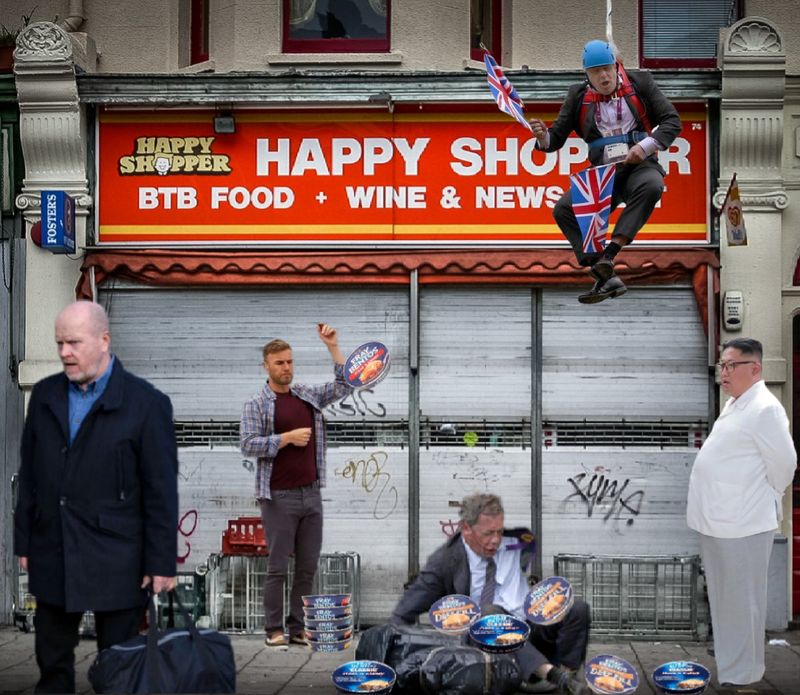 A Brief History of the World (1953 – 2018) is the first collection by the artist who’s been christened the ‘Brexit Bruegal’. It documents many of the major events that have shaped the modern world in a series of deeply kaleidoscopic images. The collection presents an alternate history – a timeline is haunted by the stalking Zelig-like figure of iconic TV hardman Phil Mitchell. As Phil traverses these hellscapes, a recurring cast of characters builds around him – the collective presence of household names such as Donald Trump, Alan Brazil, Danny Dyer and Fray Bentos reflect the ebb and flow of our daily news cycle. Truly, this promises to be show to rival Frieze or any of the autumn’s major gallery openings. Since first posting in spring 2016, Cold War Steve’s art has become “online therapy for those beaten down by political despair” (the Guardian). Previously, these pictures have only been available on Twitter (under the title McFadden’s Cold War). For many, they’ve offered a far more believable documentary of global events than any of the major news channels. A Brief History of the World (1953 – 2018) is the first time Cold War Steve’s work has been presented in this form – as pictures on walls. Also, there’s a bar right behind said pictures so you can chuck alcohol into the mix while you’re looking at them. The Social will host a series of McFadden’s Cold War inspired DJ sets during the exhibition run with very special guests choosing appropriate dystopian drinking music.